Amerlock 2 is a fast-drying, surface-tolerant, VOC-compliant two part epoxy. (mixed 1:1) It has a low-temperature cure (down to 0F), dries to touch in two hours, and can be recoated in three hours. It offers exceptional corrosion protection in industrial and marine corrosive environments. Amerlock 2 adheres well to tight rust and prepared damp surfaces, and makes a self-priming topcoat over most existing coatings. Its low solvent level meets VOC requirements and reduces the chances for film pinholing and solvent entrapment at the substrate-coating interface. It is designed for use in a variety of areas, even those where surface preparation is impossible. It has a good chemical resistance to splash/spillage, fumes and immersion in neutral, fresh and salt water. •Temperature resistance to 450°F on insulated or uninsulated surfaces when mixed with Amercoat 880 glass flake additive. 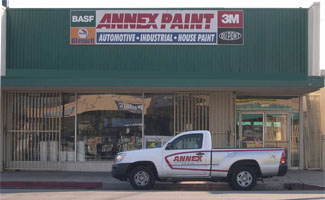 Amerlock 2 VOC’s low solvent level meets SCAQM (Southern California Air Quality Management) VOC requirements,reduces the chances for filmpinholing and solvent entrapment at the substrate-coating interface, often a major cause of coating failure with conventional epoxies and lower solids systems. 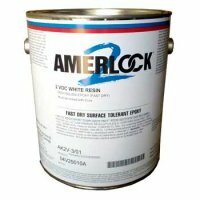 Amerlock 2 VOC is available in a variety of colors, and therefore does not require a topcoat. For extended weatherability or special uses, a topcoatmay be desired. • water towers and other exposures. Amerlock 2 VOC’s has good chemical resistance to splash/spillage, fumes and immersionin neutral, fresh and saltwater (see resistance table).